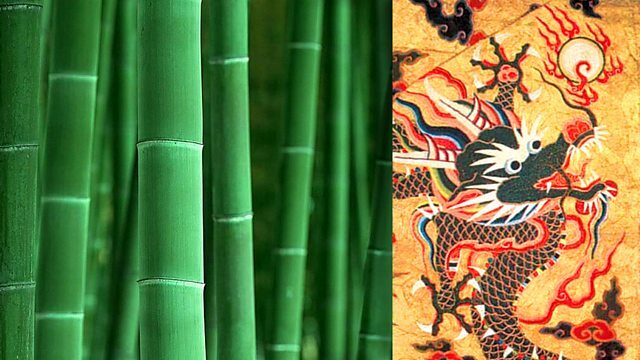 BBC Radio 3 - World Routes, Silk and Bamboo, The Uighur people of Xinjiang. The Uighur people of Xinjiang. Xinjiang region on the silk route. Lucy Duran is in the Xinjiang region on the silk route, home to the Uighur’s. In a Uighur family courtyard. Lucy is in a Uighur family courtyard in Xinjiang with local musicians. Lucy talks about Xinjiang’s lively pop music scene. Lucy is in a busy market. Lucy is in a busy market where ten musicians are playing on a huge carpet. Lucy meets Xinjiang’s most famous singer, Pasha Isha, who also plays the dutar. In a restaurant, Lucy’s producer tries to down a large glass of ‘fire water’.